While I work with companies across industries, few organizations have as much at stake around communication as hospitals. Not only does communication impact their financial performance and regulatory compliance–but people’s lives are on the line. 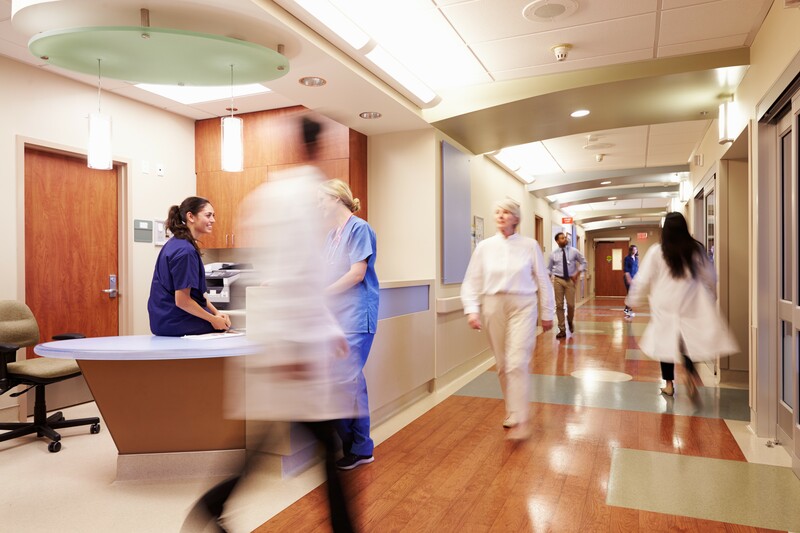 Consider the case of one hospital that was restructuring their entire community through lean initiatives and, until recently, were experiencing issues communicating the same message across their network of various stakeholders. The organization needed a way to structure their message and use it to align their stakeholders. After interviewing staff, stakeholders, and the community, they defined a clear set of objectives. Integrating these objectives with their lean initiatives allowed them to find their True North, which then guided their operations and communications across communities. True North: Who Are the Stakeholders? To align stakeholders through effective communication, it is critical to understand the different networks they come from. Healthcare organizations generally have a diverse group of stakeholders, which fall into three main categories. Each group requires a different set of considerations and communication to effectively convey their True North. Which channels are most critical for open communication depend on the stakeholders being addressed. For example, a stakeholder requiring confidentiality may not find a newsletter to be an acceptable form of information outreach. Clinical staff with limited duties may require additional clarity around targets and objectives, to ensure what’s being communicated aligns with their top priorities. Choosing your medium to align with stakeholder needs–and your communication goals–is a smart strategy that can improve performance. How does True North support clear communication? Ultimately, protecting the health of your patients–and sometimes the public at large–is the core benefit for clear communication. Communication with stakeholders also plays a core role in keeping information flows moving for treatment, and complying with a wide range of regulatory and privacy concerns. For many healthcare organizations, this also aligns with the organization’s top mission: providing stellar healthcare. Clarifying your top objectives helps ensure that all communications to stakeholders move the organization forward, toward achieving its most important goals. Does your hospital have a clear True North vision? Have you established what your most important priority is–and how that impacts your relationships with each stakeholder group? From there, it’s possible to define what communications approaches, priorities, and channels to use. Perhaps one of the biggest challenges to communicating with stakeholders is understanding what the bottom line, True North objective is. This is a concept that should be constant along all networks of stakeholders and is what will truly align healthcare stakeholder messaging. An organization’s True North is a decision-making tool that is a basic governing objective for how they wish to operate. As long as these objectives are aligned with a patient-centered plan in mind, a healthcare organization will be on the right track. How does our True North impact our communications with each key stakeholder group? What does each stakeholder group need to know to do their part to make our vision a reality? What specific steps can we take in terms of how we approach communication–e.g. frequency, channel, or messaging–to improve the flow of information? Are you ready to explore how a clear True North vision statement can improve the communication and stakeholder relationships in your hospital? Contact Incito Consulting today to arrange for a personalized consultation.